Thank you so much to American Executive Centers for hosting today’s BCA Roundtable. Notes were feverishly being jotted down, as the BCA members in attendance discussed what they’ve done differently this year to gain new business. The comments were wide ranging and all valuable in their own way. Where is often no replacement for learning first hand from peers who share similar struggles, and today was no exception. 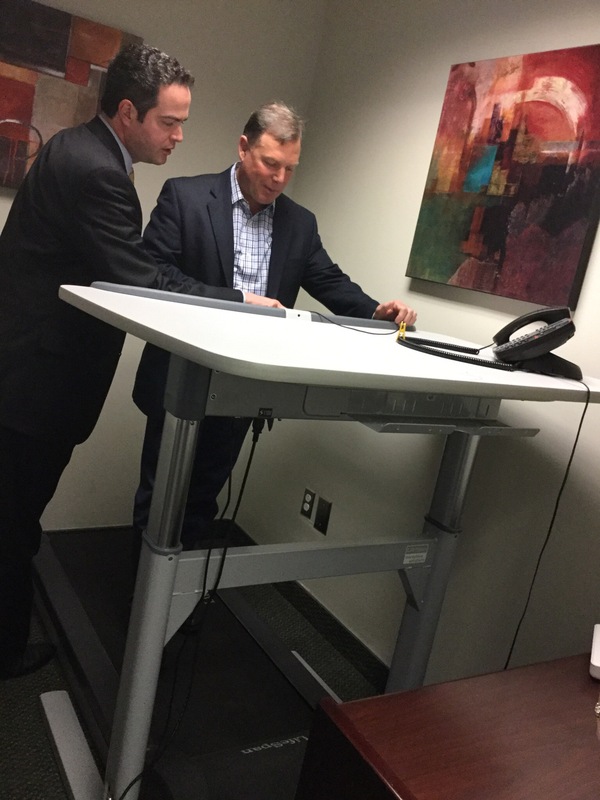 We also got to learn a lot more about the extremely robust services American Executive Centers provides, from full time private space, temporary offices, virtual offices to a full suite of administrative and back office support. 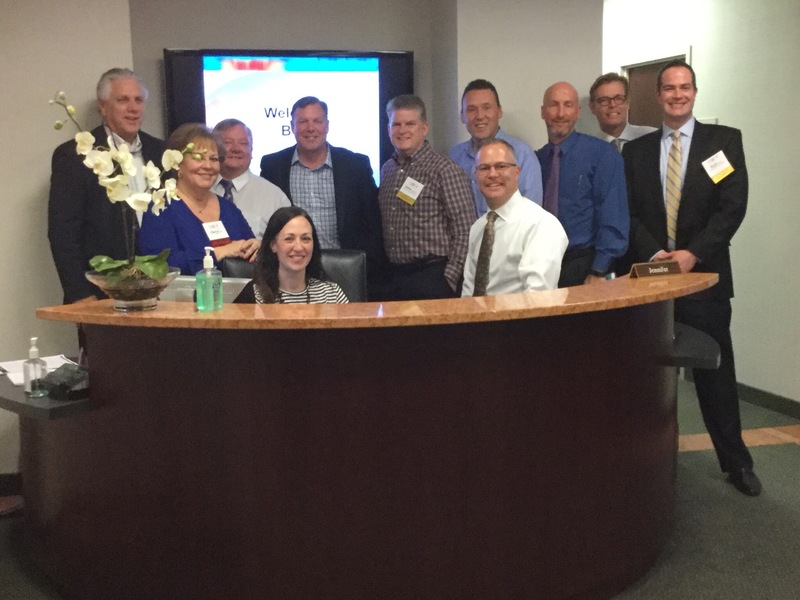 The group even got a tour “behind the scenes” to see just how American Executive Centers does it. 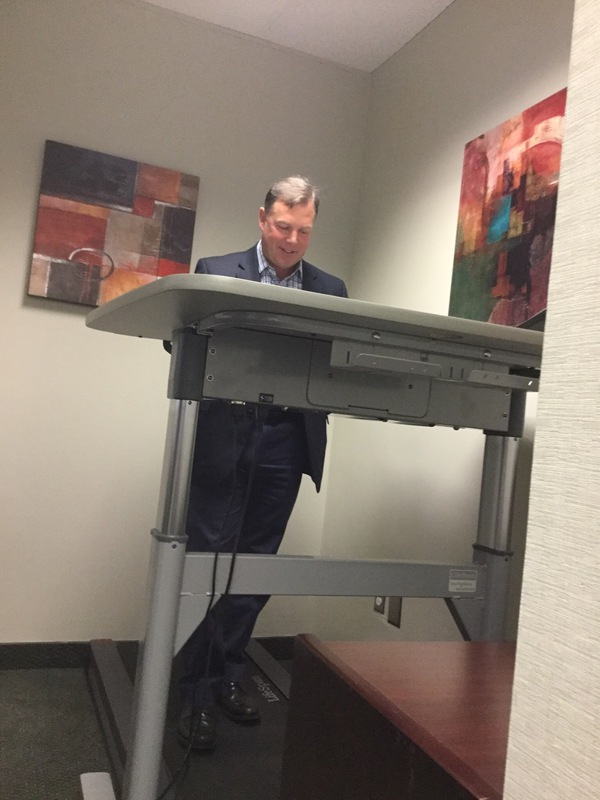 The tour includes a stop at one of the offices that is very on trend right now… An office featuring Treadmill desk. Our own Paul Becker from DDP Roofing just had to take test it out. This entry was posted on April 13, 2016, 3:00 pm and is filed under BCA News. You can follow any responses to this entry through RSS 2.0. You can leave a response, or trackback from your own site.